Nine high-ranking soccer officials and five corporate executives have been indicted on corruption charges in the United States for what federal officials have called the "World Cup of fraud," while Swiss officials open criminal proceedings into FIFA's awarding of the 2018 and 2022 World Cups. A 47-count indictment unsealed early Wednesday morning in Brooklyn federal court charged 14 defendants with racketeering, wire fraud, money laundering conspiracies and other offenses in what officials said was a 24-year scheme of "rampant, systemic and deep-rooted" corruption. At a news conference Wednesday, federal officials say that the suspects "hijacked" the sport for personal gain. Richard Weber, the chief of the IRS's investigative division, called the crimes "the World Cup of fraud." "This is the World Cup of fraud and we're issuing FIFA a red card," he said. Among the defendants are Jeffrey Webb and Jack Warner, the current and former presidents of the Confederation of North, Central American and Caribbean Association Football, FIFA's North American regional body. The defendants also include U.S. and South American sports marketing executives who allegedly systematically paid and agreed to pay more than $150 million in bribes and kickbacks to obtain lucrative media and marketing rights to international soccer tournaments, the DOJ said. Seven defendants were arrested overseas at the lakeside Baur au Lac Hotel in downtown Zurich, long favored as a place for senior FIFA officials to stay, including Webb, Eduardo Li, Julio Rocha, Costas Takkas, Eugenio Figueredo, Rafael Esquivel, and José Maria Marin. The hotel was the stage for intense lobbying for votes ahead of the 2018 and 2022 World Cup hosting decisions in December 2010. Four defendants have pleaded guilty, including Daryll Warner and Daryan Warner, sons of defendant Jack Warner, Charles Blazer and Jose Hawilla, according to the DOJ. On Wednesday morning, federal authorities executed a search warrant on CONCACAF's headquarters in Miami Beach, Florida, sources familiar with the investigation told NBC 4 New York. FIFA's Director of Communications Walter Gregorio said at a Wednesday news conference that he did not have a confirmation on the information provided by the DOJ regarding those being probed. "We were as surprised as you guys were," Gregorio said. He said the 2018 and 2022 World Cups would still be played in Russia and Qatar, respectively. The FIFA officials who were arrested will not be suspended from the organization, Gregorio said. Still, he said, "This is good for FIFA. Not in terms of image, but in terms of cleaning up, this is good for FIFA." Swiss federal prosecutors say they have opened criminal proceedings related to the awarding of the 2018 and 2022 World Cups. The votes to award the World Cups to Russia and Qatar have been surrounded in controversy and accusations of corruption. Qatar, a tiny Gulf nation with little soccer tradition, was criticized from the start for its extreme summer heat. FIFA has since been forced to move the tournament to November-December instead of the usual June-July time slot. The construction of the nation's venues for the event has also drawn outcries from human rights activists. FIFA also hired U.S. attorney Michael Garcia to investigate the 2018 and 2022 bid process. His findings were never fully released and both Russia and Qatar were confirmed as hosts. Garcia's full report was turned over to Swiss authorities in November, prompting Wednesday's raid on FIFA headquarters. Russian Sports Minister Vitaly Mutko, who is also a FIFA executive committee member, told The Associated Press "we've got nothing to hide." "We're prepared to show everything," Mutko said in a telephone interview. "We've always acted within the law." Qatari soccer officials declined to comment. The U.S. case involves bribes "totaling more than $100 million" linked to commercial deals dating back to the 1990s for soccer tournaments in the United States and Latin America, the Swiss Federal Office of Justice said. The Justice Department said the corruption is linked to World Cup qualifying matches and the Copa America — South America's continental championship. U.S. prosecutors in New York said they had uncovered a dozen different schemes during its investigation, and some involved the awarding of the 2010 World Cup. 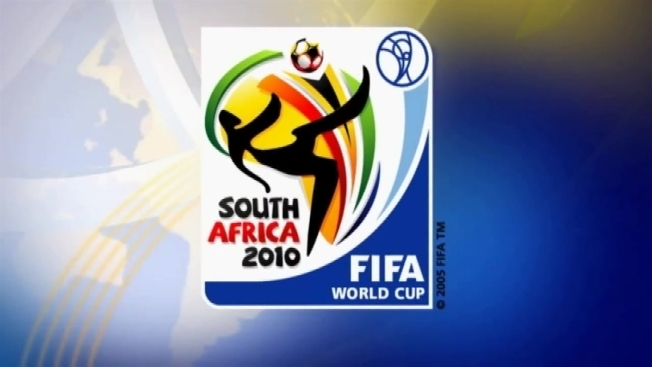 South Africa, with the backing of Nelson Mandela, beat rival bids from Morocco and Egypt to host the tournament in 2010, four years after narrowly losing out to Germany for the previous tournament. Dozens of soccer officials are in Switzerland for the FIFA congress and presidential election, where Blatter is widely expected to win re-election at the helm of the governing body of world soccer. Blatter had been scheduled to attend a meeting of the Confederation of African Football in a different downtown Zurich hotel, but he canceled his appearance. He later canceled his plans to attend a meeting of the South American confederation. Blatter's only opponent in Friday's presidential election, Prince Ali bin al-Hussein of Jordan, seized on the situation to push his candidacy. "We cannot continue with the crisis in FIFA, a crisis that has been ongoing and is not just relevant to the events of today," Prince Ali said in a statement. "FIFA needs leadership that governs, guides and protects our national associations. ... Leadership that restores confidence in the hundreds of millions of football fans around the world." The arrests were made at the lakeside Baur au Lac Hotel in downtown Zurich, long favored as a place for senior FIFA officials to stay. It was the stage for intense lobbying for votes ahead of the 2018 and 2022 World Cup hosting decisions. In Florida, a small group of agents from the FBI and IRS executed search warrants at CONCACAF headquarters in Miami Beach. Neither agency offered comment on the investigation. The North American regional body, known as CONCACAF, reported itself to U.S. tax authorities in 2012. Then based in New York, the organization had not paid taxes over several years when its president was Warner and secretary general was Chuck Blazer of the United States. Warner left soccer in 2011 to avoid FIFA sanctions in a bribery scandal during that year's presidential election. Blazer left in 2013 and has pleaded guilty to charges, the Justice Department said in Wednesday's statement. Warner's successor as CONCACAF leader and FIFA vice president is Webb, who was staying at the Baur au Lac this week. The Swiss Federal Office of Justice said in its statement that U.S. authorities suspect the arrested officials of having received or paid bribes totaling millions of dollars and that the crimes were agreed to and prepared in the U.S., and payments carried out via U.S. banks.